The Ginkgo Biloba arrived in 5 days. Your prices are great and not having to pay shipping was great and made for more savings. It is great to do business with your company. 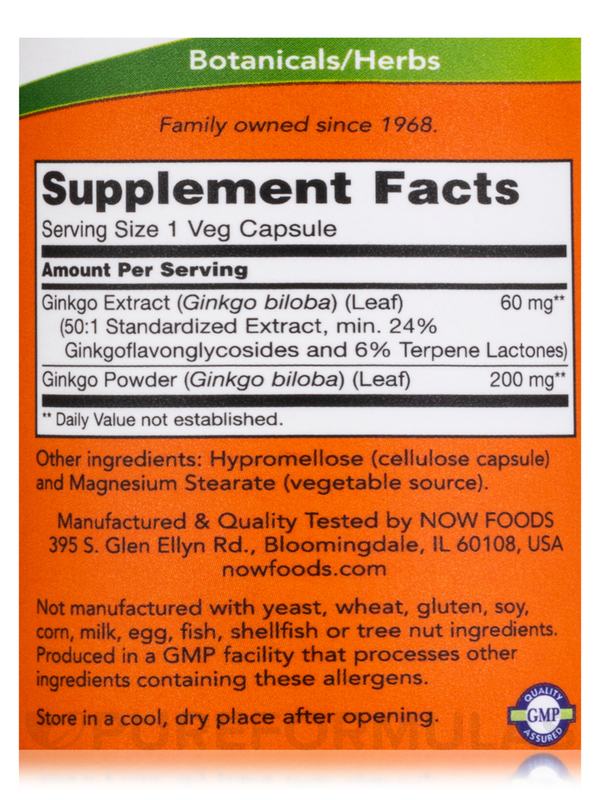 I wasn't sure how well Ginkgo Biloba by NOW Foods would work. I've been taking it for over a month now and I do see an improvement in my memory. I'm no Albert Einstein lol but I don't seem to forget things as easily so that's a good thing. 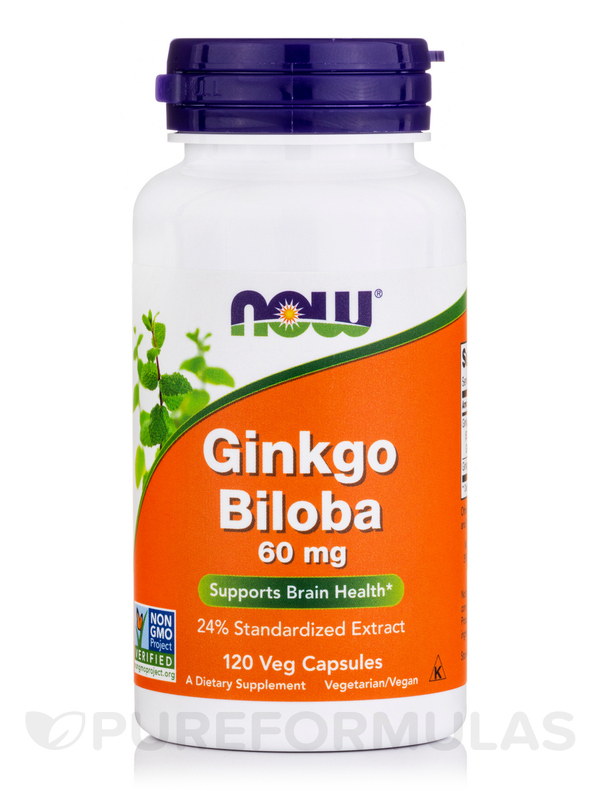 NOW's Ginkgo biloba Extract is the finest quality available worldwide. 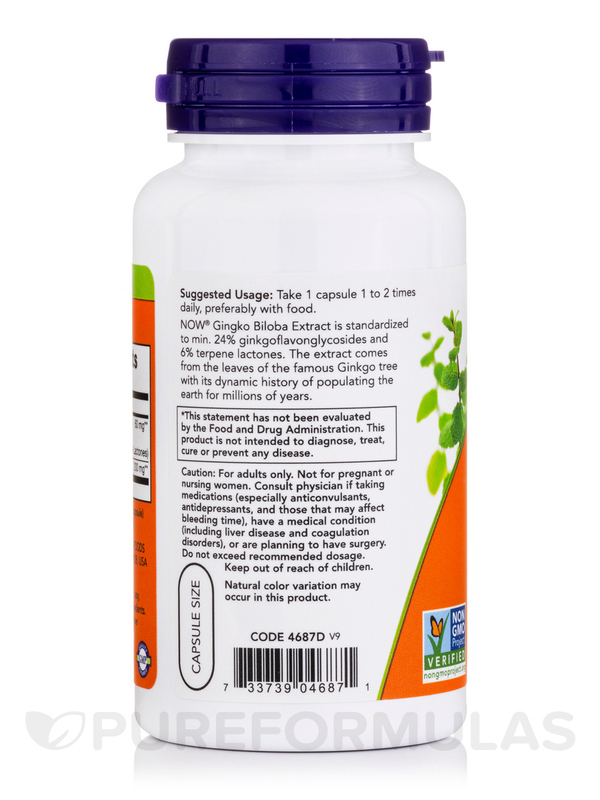 Scientific research has demonstrated that Ginkgo biloba Extract has powerful free radical scavenging activity in in vitro studies. GMP Quality Assured / Kosher / Non-GMO / Vegetarian / Vegan. 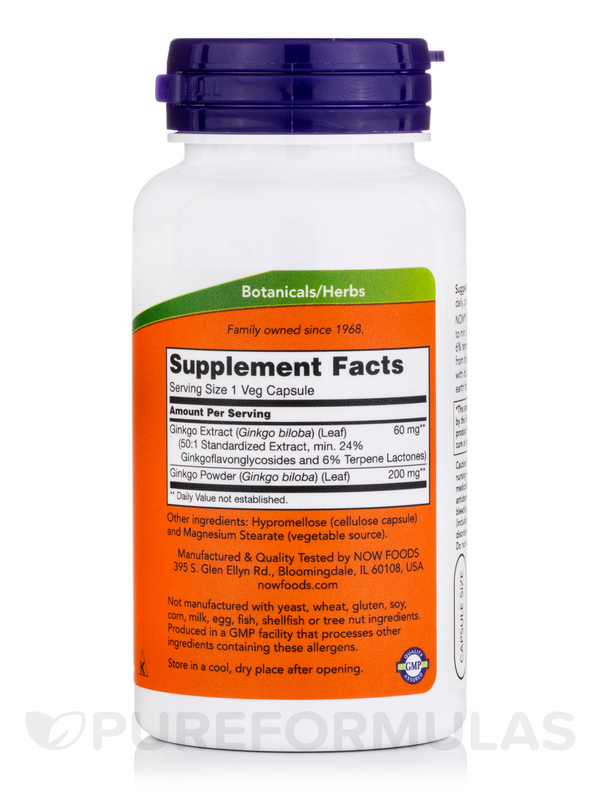 Take 1 capsule 1 to 2 times daily‚ preferably with food. For adults only. Not for pregnant or nursing women. Consult physician if taking medications (especially anticonvulsants‚ antidepressants‚ and those that may affect bleeding time)‚ have a medical condition (including liver disease and coagulation disorders)‚ or are planning to have surgery. Do not exceed recommended dosage. Keep out of reach of children. 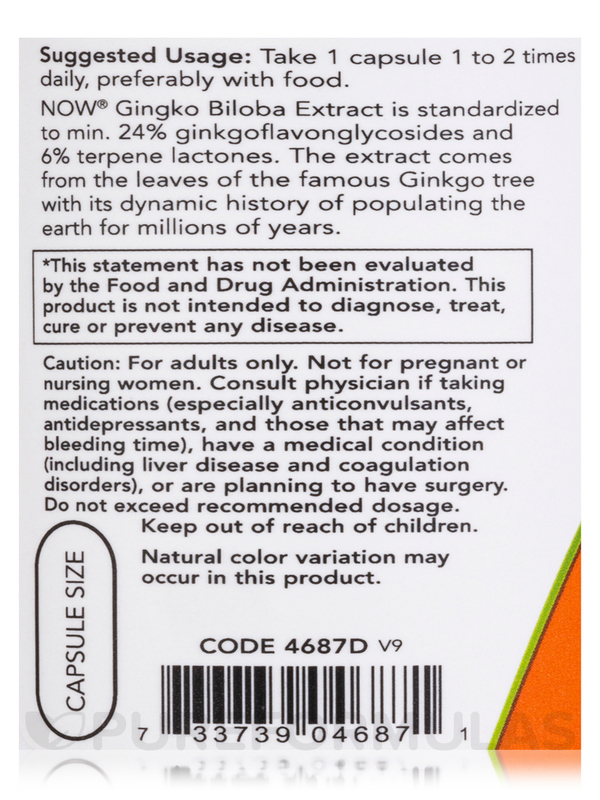 Ginkgo Biloba by NOW is a good product and the shipping was fast! Helps with memory, good price, good quality!